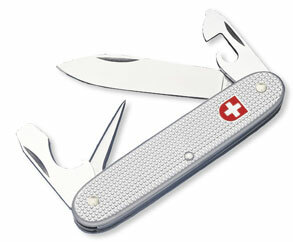 The Soldier is the official issue knife for the Swiss army. A careful observer will note that the logo on the knife is not the Victorinox logo, but the actual insignia of the Swiss Army. These knives are based on the 91 mm chassis, and the side panels are constructed of the very durable Alox Aluminum panels.